"If you have no hope, invent!" Yuri Gelmini is a rising star in the bartending world. 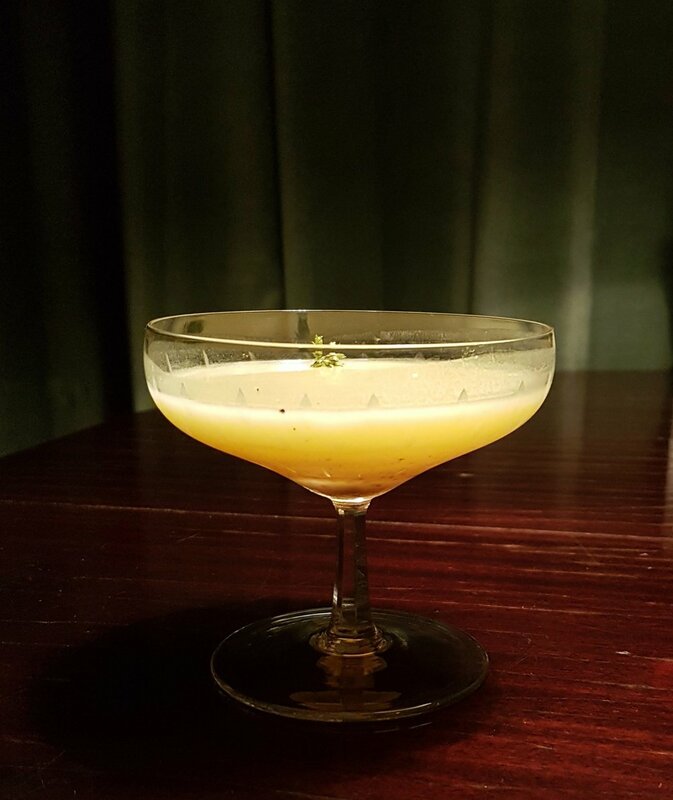 Inspired by a love for plants and futurism, his cocktails at Surfer's Den are both original and flavorful and a breath of fresh air for Milanese drinking scene. When I finally update my ranking of Milano's best bars, Yuri will surely be near the top. Along with Zero Milano, Blue Blazer, ViviMilano and Mixer Planet, I was invited to preview Yuri's exciting new conceptual menu, designed by the talented Bianca Maria Fiorentino. 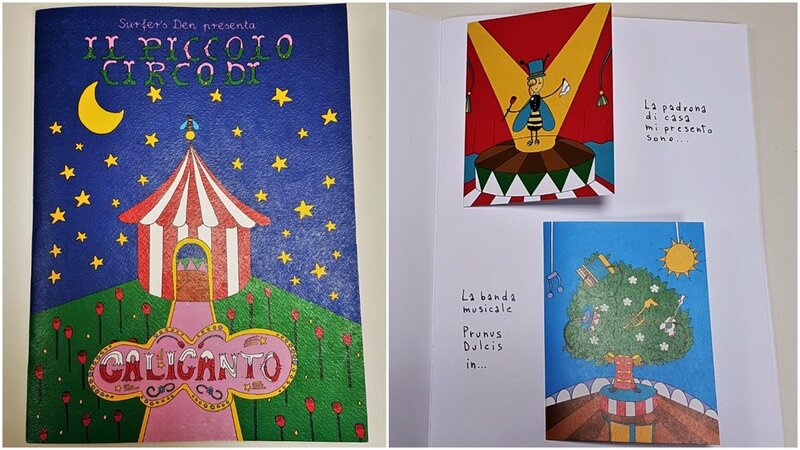 The menu is a sight to behold - a children's book with fold out illustrations inspired by the protagonists, or artists, of the circus. The artists are linked to a specific plant, such as the Contorsionist "Un giardin del labirinto" with Japanese wisteria, Shochu, mandarin juice, sugar, red beet juice, daikon and black pepper. The young and artistic Bianca did an amazing job of translating Yuri's creative recipes into her designs in the playful menu. I was so happy when I was told I could take this work of art, signed and numbered 37 out of 50, home with me. The menu design was inspired by the children's book Buonanotte a Tutti by Bruno Munari. Yuri uses flowers and plants as both main ingredients and decorations for his drinks. For him, they add extra layers of aromas and tastes to the alcoholic base, bitters and liqueurs in his drinks. After sampling this menu along with his previous summer edition, I can't help but agreeing with him. Another great feature of the menu is the "Barman Choose" option but I won't ruin the surprise for you!